Recently I had my head shaved (again!!). And my friends and others around me constantly kept asking the question, why? (partly because I look awful) .. today many again asked, cause its something which is not so common to do. I tried to avoid the question or at best my answer was 'just like this, no specific reason'. Cause I knew, if I tried to explain verbally, it may not be easy to explain. I was jokingly telling them i will post something about it in my blog. There are certain symbological meaning (and religious and cultural perspective) behind shaving the head. If you look carefully you will notice that head-shaving is a part of the Buddhist, Christian, Muslim, Jain and Hindu traditions. Buddhist and Christian monks generally undergo some form of head-shaving during their ordination. Brahmin children have their heads ritualistically shaved before beginning school. In some parts of the Theravada Buddhist world, it is common practice to shave the heads of children. Why does hindu religion has this practice of the devotees to shave their head on religious programs, pilgrimage? Even for the lay hindu, when their father or near one dies they need to shave their head. Why does Buddhist monks shave their head? Why Buddha did it? Why egyptian priest used to shave their head? 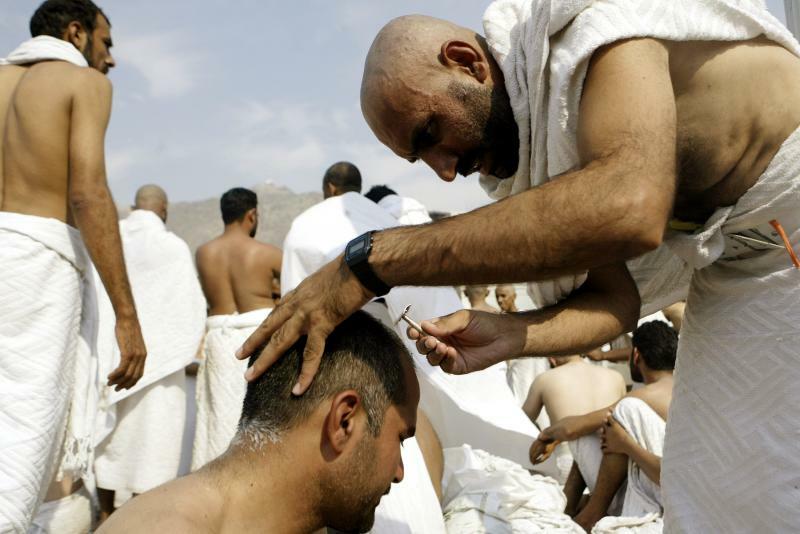 Why muslims are encouraged to shave their head during the important pilgrimage (hajj)? The idea behind shaving head is a symbol of renunciation. Hair is the symbol of attachment and when it is shed, it is symbolized as shedding the worldly attachment (i love shedding any kind of attachment, but i'm not up to the mark at all...every moment bonded with so many attachments). Thats why in islamic pilgrimage muslims shave as an act of devotion. Renouncing the world for the love of God. And its more or less the same for all religious practice of shaving the head.